Colonel Steward did not excuted his scheme alone… Theres lot of insiders who sided with him and the police Chief just plain DUMB! Bust those insiders first and ‘gegar’ to wake up the police chief!!! Rafidah should pencen from doing any more business. She has made enough and should not be too greedy. People like Rafidah helped bring down Umno. I thought that Tan Sri Azman Mokhtar has said the MAB is doing very well under Tan Sri Bashir. Don’t tell me that we can no longer trust Tan Sri Azman anymore? Please confirm whether it was true that Tan Sri Azman said that. Azman is not the only person in Khazanah and he doesn’t behave like an autocrat. There are others who are able to pull all sorts of tricks, especially when maneuvers are backed by a selected ‘inner circle’. Probably, they could ‘pressure’ for persons like Azman to change his mind. The problem could be the bigger hands above MAHB’s good hand who could unseat Bashir. They must be watched as by a hawk. I know where this Greedy Ular aka Towkay Keling Wayang is heading. Its so obvious! 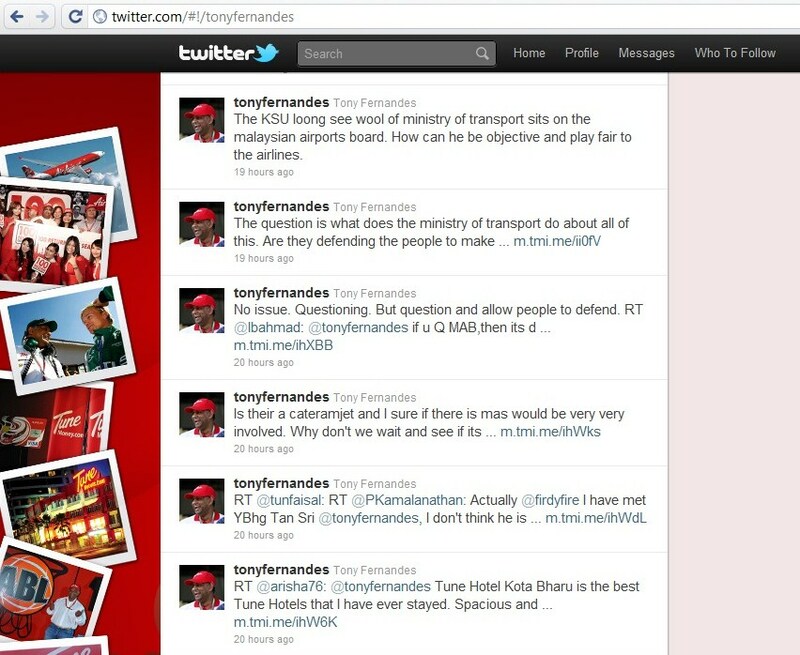 He wants KLIA to be renamed as ‘Tony Fernandes International Airport’. Just stay ‘Tune’ & watch! Don’t forget your big tub of caramelized/salted popcorn. The series of drama would be intriguing! I bet like the other Keling Ular aka Kali, he’ll throw in Tun Dr Mahathir’s name for the added fun! Anak Wayang (show biz) la kata kan! Why are the Malays stupid enough to allow these despicable Kelings to get their way. When I was young, my late mother told me: Never, ever trust a Keling. She was right. Isn’t Omar Ong the key? 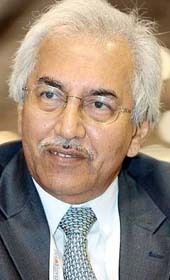 Remember who appointed OO to Petronas? Despite being rejected the first time. And Hassan Merican lost his job. And Nazir Razak got huge fees for “advising”. Or providing “consultancy services”. Whether all for CIMB, we don’t know. I think there are a lot of skeletons in the cupboard. People with access should try and open it. This guy should be kicked out from MAS and restricted to operating only AirAsia. We already have too many conniving businessmen in Malaysia but this guy takes the cake. wait till TUN M comment on this??!! Well written, Bro. Keep it up. I think we need a sledge hammer to wake up all these gaji buta autocratic leaders. Think people, think very hard. 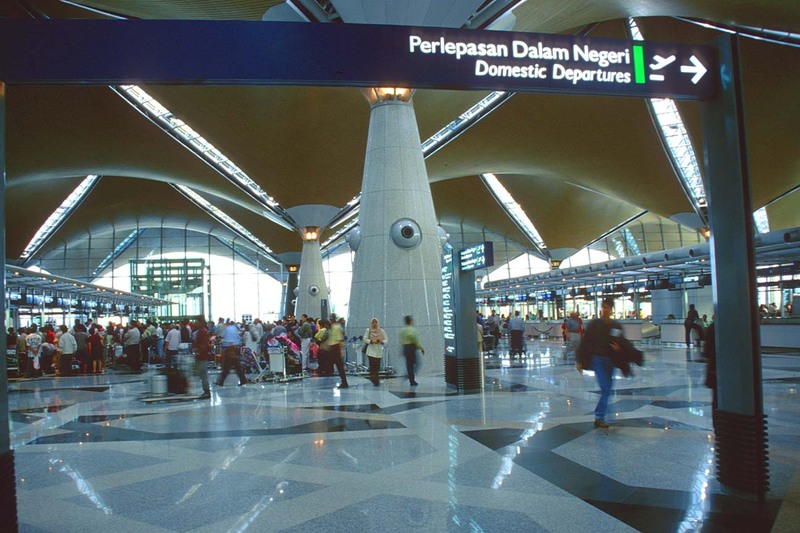 MAS problems are not revenue, but cost.